It's often activities such as painting, changing the lighting and replacing wall art and other decorative items in the room that come to mind when a bedroom updating project is mentioned. There are some additional and simpler changes that can update a bedroom and at the same time increase the comfort level of the room. Typically the bed is the focal point of a bedroom. Therefore updating the bedding so that it is consistent with current fabric types, patterns and colors can transform the appearance and atmosphere of the room. Of course, appearance is only one aspect to consider in the bedroom. The bedroom should be furnished and designed to encourage relaxation and provide the maximum amount of comfort. With that thought in mind, pillows can play an important role in the updated design. Updating one room often leads to the updating of other rooms. This seems to be especially true when it comes to bedrooms. Buying bulk pillows is an affordable and practical way to update the pillows in the master bedroom, kid's room and guest bedroom. Buying in bulk can provide a sufficient number of pillows to elevate the comfort level of each bed. There can be enough pillows tossed on the bed to create a cocoon to relax in while reading or watching television. This is a luxury that adults and children can enjoy and appreciate. Updating a bedroom with environmentally friendly pillows is both a trendy and beneficial step to take. Pillows made from recycled plastic bottles fit perfectly into an active family's eco-friendly lifestyle. As a bonus, this type of pillow, unlike most other pillows, is washable. Some updates to a bedroom are chosen for their practicality rather than for their aesthetic benefit. Items such as pillow protectors are a practical update that can extend the usability of the pillows. Pillow protectors are quite handy in a kid's bedroom and in a bedroom where pets are given the freedom to lounge on the bed. New homeowners have many things they need to buy, including an assortment of beautiful but washable bedding for each bedroom. Creating a unique bedroom décor by buying bulk comforter sets is simple for new homeowners because the package at an online wholesale store contains almost everything required to prepare a bed for sleeping. The fantastic thing about prepackaged sets of bedding is that selecting items is quick. Online stores are great places to shop due to having free shipping and affordable prices on durable bedroom linens. Wholesalers offer merchandise at lower prices to satisfy hospitality industry managers who demand quality bedding that withstands multiple launderings in hot temperatures in commercial washers and dryers. Having extra bulk comforter sets is especially important during the holidays to have clean and attractive bedding ready for guests. With cold wintertime weather, families and guests need thick and soft covers to stay warm and cozy all night. When homeowners are in a hurry, ordering linens from an online wholesaler is fast with full color photographs and detailed descriptions of bedding products. With a drop-down menu, new homeowners can select the appropriate color of bedding in basic brown, black or blue along with choosing a size of sheets that fits a bed properly. Paying online is also simple with debit or credit cards before typing in a shipping address. Bedding from an online store is shipped for free in the continental United States. After the items arrive, customers can place the luxurious sheets, bed skirt and comforter on a bed. With the low prices from the wholesaler, when it is time to launder linens, there is another set ready to place on the bed immediately. It is easy to use linens in a different color and design to change the appearance of a bedroom each season. Because bedding products meant for hospitality industries are designed with durability in mind, new homeowners can wash the linens in hot water. Washing and drying bedding frequently at high temperatures is now recommended to destroy dangerous pathogens such as viruses and bedbugs. money. Towels and dishcloths are required by workers to keep items in a kitchen clean enough to pass local health and safety codes. By ordering from a specialty online retailer, managers can have large quantities shipped to any address in the United States. Most hospitality managers have little office time to complete paperwork such as purchase orders. Fortunately, there are easy to shop at websites with an understanding of a large kitchen’s needs. In addition to having low prices on an assortment of sturdy linens, the items are simple to take care of with fast machine washing and drying. Despite having affordable prices on 100 percent cotton linens, the items are extremely durable to keep a hospitality business’s supply costs within budget. Made of soft taupe or chocolate colored fabric, it is possible to select boxes of nearly 100 pot holders, dishcloths or towels to ensure kitchen staff has the items needed to clean and protect their hands. Commercial kitchen work is fast-paced and strenuous, requiring chefs to grab the handles of pans while cooking. To avoid burn injuries, they require thick and dry pot holders in a square shape. In addition to preventing burns, pot holders must remain soft through multiple launderings in order to wrap around the handles of pans. Many chefs prefer oven mitts instead of pot holders to protect both sides of their hands while lifting and carrying pots. Wholesale kitchen linens made of soft terry cloth are requested by employees because the materials are absorbent to help complete cleaning tasks quickly. After using terry cloth dishcloths, the cotton fibers dry easily without developing foul odors. No matter if the dishcloths are used in the kitchen or dining room to wash objects, the fabric hides stains due to the dark or light brown color of the materials. With sturdy quilted stitching or a popcorn weave, the linens from a wholesaler offer the best value with free shipping and handling. Everyone needs towels, so which are best to buy? This is a great time to stock up on wholesale white towels for your home or office. Premium white towels are a good investment for bathroom décor and use. White towels can be coordinated with other décor styles and color schemes. For example, white towels add a lovely accent to bathrooms with gray and black hues. Any pattern or design will accommodate white towels, which make them unique and universal for decorating purposes. Their uniform color and style means that children won't be arguing over who gets what. When used on children, it is easy for caregivers and parents to see if kids are getting clean when they wash or if they have any injuries. Wholesale white towels offer value, especially when bought in quantities. Buying enough for family use is fine, but it is a good idea to purchase extras to have on hand for guests. Sports events, picnics, and camping are more ways in which the towels may come in handy. White wholesale towels come in one hundred percent cotton so they feel natural and comfortable. Made to last, they are less likely than other towels to rip, snag, or wear out anytime soon. Available in wash cloths, hand towels, and bath towels, each member of the family can have his or her own set of towels, and all will match the bathroom décor, even if your home has more than one bathroom with differing decorating styles. White towels may be purchased in bulk for day care centers, schools, camps, and other facilities and shipped in large quantities to distant locations. If the supply runs short, it may not be noticed as readily as a towel with a colorful pattern that has become one person's favorite, since they are all alike, and new purchases will arrive in a timely manner. White has become increasingly popular lately as a solid decorating color in many homes. Convenience, quality, and affordability are important considerations for buying these towels. Ordering new table linens in bulk quantities for holiday celebrations helps to make everyone ready for family dinners and office parties. The highest quality of placemats, napkins and tablecloths help to provide an elegant looking table for guests and employees. Large establishments such as hotels and restaurants require an enormous amount of dining room linens to create an inviting ambience. During the holidays, clients and customers want to see particular color arrangements that signify the season. Fortunately there are great online stores that make it easy to select bright red, hunter green and crisp white dining room linens that are simple to wash and dry between guests. Selecting products from online stores that sell wholesale merchandise is a great way to increase a hospitality business’s profit. Many people choose to travel throughout the holidays but still want to enjoy colorful holiday celebrations. They expect to sit down at a table covered with an assortment of well made cotton blend linens in holiday colors such as green and red at Christmas time. Alternatively, anyone traveling around Thanksgiving time to a restaurant or hotel might enjoy seeing new table linens made of faux leather material in earth tones of camel, black or chocolate. In addition, a knowledgeable hospitality manager can figure out ways to mix and match different styles and colors of placemats, napkins and tablecloths. Instead of using the traditional Christmas colors of red and green on dining room tables, many hospitality establishments choose to decorate with colors of gold, blue and white that represents Hanukkah. No matter what colors of linens ordered for holiday celebrations in the hospitality industry, guests are looking for décor that is clean and beautiful. By buying tablecloths and napkins in bulk, it is simple to change the items between guests to provide a gorgeous table at any meal. Faux leather linens for a table are fast to wash by hand between meals while cotton blend items are simple to wash and dry in commercial laundry rooms. The holidays are the time to make everything bright and new, and a good way to do that is to refresh bedding for holiday guests. Many people nowadays prefer microfiber sheets. Here are some tips on what they are and what to look for when buying them. Microfiber is a material that has very thin fibers, often finer than silk fibers. The most common types of microfiber are nylon and polyester. The material is meant to be lightweight for comfort, but is actually very durable. The thickness of cotton sheets is measured in thread count. But the thickness of microfiber sheets is measured in both thread count and gsm, or grams per square meter. A higher gsm number means the sheets have more fibers, and are thicker and softer. When buying microfiber sheets, consider both the gsm and the thread count. Microfiber sheets come in 92 gsm, 110 gsm, and 125 gsm. The cost increases with the gsm, the most expensive being the 125 gsm sheets, because they contain more material. The 125 gsm sheets are also brushed to make them softer; they're the softest grade of microfiber sheet. However, the 92 and 110 gsm sheets are also soft, and can be more economical. Also, some people prefer the lighter feel of 92 and 110 gsm sheets. Look for microfiber sheets with a thread count of 1200 to 1600. This also means the sheets are softer. Some advantages of microfiber sheets are that they're breathable and comfortable because their fibers are so small. They're less expensive than cotton sheets, and are wrinkle resistant. They're machine washable and dry in 30% less time than cotton sheets; the manufacturers do suggest using a dryer sheet, since they tend to attract static electricity. Microfiber sheets also last longer than cotton sheets. 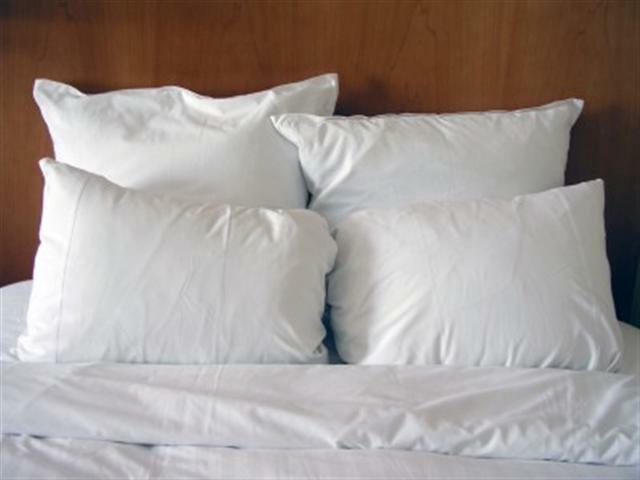 Like cotton sheets, they're available in twin, queen, and king size, and with pillowcases. They wick away moisture, so they're especially comfortable in warm climates. Microfiber sheets are a soft and cozy bedding upgrade that your guests will enjoy during the busy holiday season. If you know someone who has recently moved into a home, you might not know of what to get them because they could already have everything, or they might not know what they need for the home until everything is unpacked. There are a few things to consider that are affordable and will likely be used on a regular basis. Towels and washcloths are items that any homeowner will enjoy. They will also save on washing clothes every day if there are enough towels to use each day for everyone who takes a shower. Try to get neutral colors that will match any color in the home instead of vibrant colors unless you know the colors used in the bathroom. Small appliances are also good gifts for a new home owner. These can include a blender, toaster or coffee maker. You can find affordable prices on these items near the Christmas season so that you can get a few gifts at one time if you know of several people who are moving into a home. Containers with lids will benefit the homeowner so that meals can be prepared and saved for later. Try to get a few different sizes so that the homeowner can make meals for the entire family or keep leftovers in the refrigerator for lunch the next day. If you know the homeowners, then try to get something you know they would enjoy. A popcorn maker is ideal for someone who likes movies, or get a waffle maker if they like preparing breakfast in the morning. Picture frames are another idea, or you can get picture albums so that they can keep hard copies of pictures from getting damaged. If you aren't sure of what the homeowners will like, then consider a gift card, or prepare a meal for them to enjoy when they move into the home. If you have a vacation home, here are some holiday bed and breakfast ideas. Christmas is all about the festivities, lights, sounds and smells. Load up the house with garlands of holly and fresh greens and add groups of three or more candles to enhance the experience. Consider wrapping outside trees and branches in tiny white lights encouraging guests to stroll the winter wonderland. Check with local organizations for carolers to bring favorite holiday music to the home. You may be able to get groups of children from the schools to put on a holiday show and they often ask only for donations. Keep various kinds of holiday music playing softly throughout the home as cheerful background sounds. You may want to know who your guests are and what their customary celebrations are. Make it a personal and special time by blending different practices to create a unique environment which can be enjoyed by everyone. Provide information on events taking place in and around your community that your guests may enjoy attending. Concerts, plays, tree lighting ceremonies, choirs and even elaborate light shows can be found in most towns. Keep the holiday lights on for New Year’s Eve, and offer your guests a Champagne toast at midnight to make them feel at home. Many people travel for Thanksgiving visiting family for their feast and staying at a close Bed and Breakfast. A friendly gesture would be to allow them to invite relatives and friends by for libations and hors d'oeuvres. This would also allow some locals to experience the warm hospitality of your residence for future reference. Simply put, a coverlet is a shortened bedspread. It is lightweight and usually non-reversible to show off the intricate patterning on the side to be seen. A coverlet covers the surface of a bed, but does not have the length that a bedspread does. It drapes down just barely past the box spring of the bed. It is used to cover the top of the bed and does not incorporate a pillow tuck. A coverlet can be used on top of a standard bedspread to add extra character to the decor. Sometimes shams can be purchased or made to match the coverlet, if desired. The entire idea of a coverlet is mostly for aesthetic reasons. The word coverlet has been around since the eighteenth century. Practically every community had people weaving coverlets from yarn using looms as weaving machines. The material used was twill. It was dyed and woven into single layer coverlets. Indigo was the main color used at the time, along with a deep red or a dark brown. Light blue was also popular. At the end of the nineteenth century, coverlet weavers started incorporating patterns into the finished product. Some coverlets were double layer, with separate colors on each side. These were called winter-summer coverlets because you could switch from a darker color to a lighter one depending on the season. Coverlets started being made from more sophisticated machinery in the late 1820's. The coverlets of today are made from twill, cotton, cotton blend or microfiber blends. They can be quilted and come in a variety of colors and patterns to match the bedroom decor. They are used more and more in homes as a decorative extra for the bedroom. Coverlets are not limited to using on the bed. A coverlet can be used as a throw on a chair or couch to use on a cold-winter night. Coverlets help spruce up an area by using the material and patterning to please the eye. They double as a visual pleasure and a smart choice for adding a layer of warmth.